my last aussie hunt for a while. i went on my last aussie hunt for quite a while the other weekend. went for another goat hunt. got a little kid for meat and a billy. he was taken at about 12m. one shot with a trusty blackstump b/head. realising it was my last hunt at home before going to canada for a working holiday, (in B.C now) made it a special trophy for me. the walk back to camp was my last chance to take in the aussie bush for a while. guess i'll just have to get used to the stunning canadian mountians, LOL. Re: my last aussie hunt for a while. great billy i need to get back to Aus one day and chase some goats. Blackwidow osage PLX 62"#,56 @28"
you'll love bc ...what do you do? anything. i'm a boilermaker by trade. 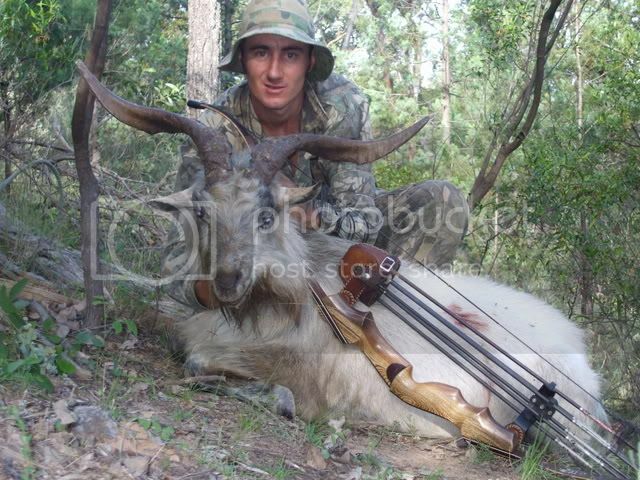 can non resident aliens hunt with a host in yukon?? it's just that bmlongshot73 says i have to shoot a moose. lol. i'm in cranbrook b.c now. 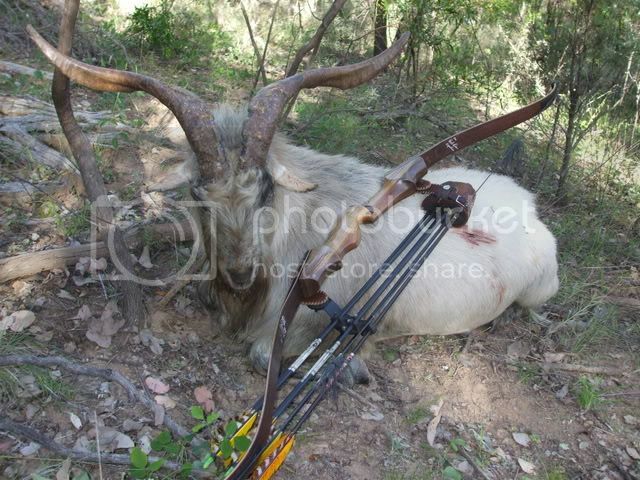 Thats a cool looking goat, would make a nice skull mount.